These dining locations are not your average burger joint, your taco slinging eatery, nor your cookie cutter bar and grill. No, these are for the person looking for the finest in dining experiences. If you're looking for class, style, exceptional service, perfectly crafted cocktails, and meals fit for a king (or queen) then look no further! 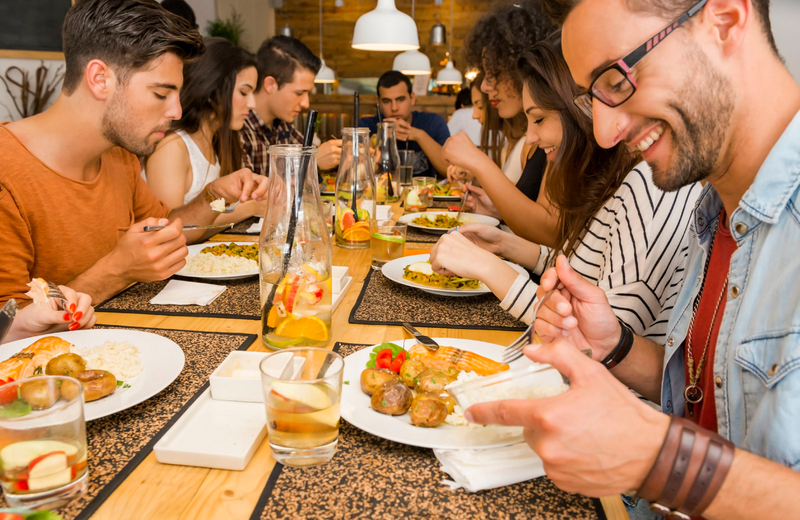 If you're living in any of the luxury apartments in Pleasanton, California, then check out these top 10 restaurants in the area. If you're looking for a regional delight, head over to the innovative Gan Restaurant. This Korean Fusion style menu is served up as decadent artwork, with mouthwatering flavors to match. Patrons rave about the incredible quality of not only the food, but the service as well. Make a reservation and you're sure to be seated on time. Unsure about what you might be ordering? The staff is expertly trained to explain each item down to the last detail. Best of all, the owner (who is also the head chef) makes sure to stop by your table to see if you're satisfied with your experience and his handy work. Don't take our word for it, head over to Yelp and see the lineup of 5 star reviews. Many claim that is hands down the #1 place to eat in Pleasanton. Are you the brunch type? Do the words "bottomless mimosas" entice you? Then this little eatery is right up your alley. Their breakfast dishes are exquisite, but you can come here any time of the day to get a delicious meal with fresh ingredients. Try the any of the steak salads, the smoked salmon Benedict, or the savory lamb chops. The menu is considered modern European, and while the food is to die for it's also fairly priced. Finding a fine dining location that won't break the bank is just icing on the cake. You could try this author's favorite, the cold smoked salmon on a bed of arugula and mixed greens topped with capers, red onions, and egg. Everybody loves a little Italian cuisine, but it isn't always so easy to find a restaurant that does it right. Well, that's where Forno Vecchio shines. Complementary bread with vinegar and oil dip is the first sign of authentic Italian flavors headed your way. Before we move onto some of the great dishes this place offers, it should be noted that bottomless mimosas for brunch are also served here. You can order top quality halibut and salmon dishes, or find out why so many keep coming back for the bone marrow dinner, all of which can be paired with a bottle from their fabulous wine selection. Whatever you decide on, make sure you save room for dessert. You'll be glad that you did. Put on your Sunday best and head over to this gem for some unique Mediterranean cuisine. Does your mouth water at the sound of Kabuli with Fillet Mignon? Does a hummus trio appetizer sound delightful? How about a strawberry Moscow Mule? Pumpkin Borani for dessert? Hmm? If you answered yes to any of those, then this place is right up your alley. These dishes are served up with exceptional plating, and each tastes just as delicious as it looks. If you've never had Mediterranean cuisine, this is the perfect place to try it out. Get a table outside at night and you can enjoy eating next to the warmth of the flame stacks. While this place is everyone, it is the absolute perfect spot to take your date. For a different Mediterranean experience, try Lokanta. They combine the region's flavors with Turkish and Greek style dishes. For those unfamiliar with these types of dishes, think scallops with citrus flavor, lamb shish kabab with rice and pico, braised ribs, or beet salad. The menu offers various, unique dishes, and every one is served to you on some of the most artistic plating you will ever see. If you're looking to step out of your shell and break the normal dining routine, this is where you want to go. It's no secret, everyone loves pizza. De La Torre's is the place to go when you want one that's top quality with fresh toppings, but you might find yourself coming for the other 5 star dishes on the menu. Baked Ziti Pasta, King Salmon paired with kale, insalata primavera, and risotto with real ragu are just the tip of the iceberg here. Every dish screams with full Italian flavor, and the desserts...well, you'll just have to try them for yourself. Hint: you can't go wrong with the cannoli with ricotta cheese and pistachio filling. While this location doesn't make the cut for fine dining, we're going to give it a pass for one reason and one reason only...they have Hawaiian cuisine. Have you ever had a tuna, hamachi, and tako bowl? How about salmon poke with brown rice, jalepeno, edamame, seaweed, and spicy tuna? If your not crazy about a combination, you can make your own right there! The options are endless, and the food is delicious. Sure, it isn't a fine dining experience, but the flavors these dishes have to offer will blow you away. Plus, you can save some cash while trying out incredible regional cuisine. Bringing back the high class atmosphere and fine dining theme, these two sushi joints are sure to satisfy anyone's craving. Every sushi bar/restaurant should serve up your sushi in style, but Tomo takes it to a whole new level. For example, their fiery ninja roll is served in a circle with a flame in the center of your plate for you to sear your roll on. If that doesn't impress you, then their exotic selection of seafood choices will. Their chefs know how to make and serve meals that are as tasty as they are beautiful. At Meiko, things are more traditional in terms of what you'd expect from a sushi restaurant, but your portions are enormous. When you order a roll here, you're being treated to something special, well crafted, and filling. Either one is sure to please, and each are unique in their own way. We only put them together because, hey, who doesn't love options when picking a sushi joint? No fine dining list is complete without a tapas bar. Sabio offers you a grand selection of wines and hand crafted cocktails while you dine on oyster dishes, huevos rancheros, deviled eggs with paddle fish caviar, or any of their heavenly deserts. Dining on such exquisite dishes is only half of what makes this place so superb. It's the cocktails that push this experience to the limits. Pick your favorite, or try something new, but know that every ingredient is absolutely fresh, and your drink is being created by a master. There's no place quite like it! Oh, and did we mention the heavenly desserts? Check them out on Yelp, you just might want to go there for the desserts alone. Succulent seafood, mouthwatering Fillet Mignon, side dishes made in paradise, tiramisu and creme brulee masterpieces, and the delicacy of authentic, genuine Japanese Wagyu beef combine with one of the greatest fine dining experiences for miles. Hand-spun cocktails from the bar and a wine cellar provide rich pairings for any entree. As if all of that wasn't enough, the atmosphere is the epitome of fine dining. Rich cloth tabletops, crystal clear wine glasses, chandeliers, and fabulous woodwork come together to complete the experience. This is one of the finer things in life, and a must try for those living in Pleasanton. There you have it, the finest dining in all of Pleasanton. From the culturally rich to the ritziest in town, and the tried and true classics to the uniquely artistic, this area is a fine dining haven. Those that live in the luxury apartments throughout the area know just how outstanding these places are. If you've never been here before, hopefully these restaurants are enough to get you to visit! Come see why the people that live here rave about the city's class, style, and food.